Getting strong, defined muscles takes more than just simply hitting the gym all day every day. Sure, you’ll see improvements, but if you want to see lasting, impressive gains, you’ll need a little help. For some, their minds might jump immediately to harmful substances like steroids. While these drugs can lead to dramatic results, they can also have a series of terrible side effects. By enhancing the nutrients and substances that naturally occur in your body, you can quickly achieve the jacked look you’re going for. 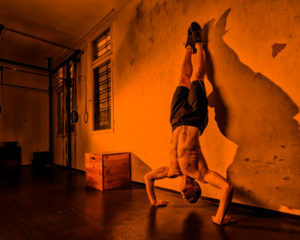 To do this, you can start incorporating more creatine into your sports nutrition diet, thanks to the creatine-based pre-workout products from Axis Labs. Creatine occurs naturally in the cells in your muscles. 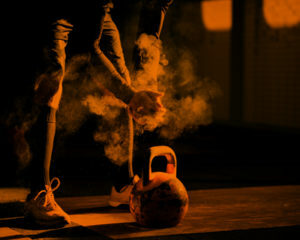 It is this substance that helps you produce the energy you need to push through a set of heavy lifting exercises, or intense exercises like sprinting. Most of the creatine in your body is stored in phosphocreatine and is largely found in your muscles, with only a small amount found in your brain, kidneys, and liver. You can improve the stores of creatine in your body through your diet by eating enough meat, you can also improve it by exercising frequently, and balancing your hormone levels, paying particular attention to hormones like testosterone. By supplementing with creatine, you’re basically increasing the amount of phosphocreatine your body can store. Your body keeps this substance in your cells and uses it to produce an energizing molecule called ATP. When you need more energy during your next workout, you’ll want plenty of ATP, as your body uses it to fuel your muscles and workout harder. Creatine can help you improve your total workout length, which helps build long-lasting muscles. Creatine helps to repair and grow new muscle mass. By increasing the amount of water content within the cells in your muscles, you might see larger, more defined muscles. A reduction in muscle breakdown is linked to increased creatine levels, which then leads to an increase in muscle size and growth. For these reasons and many more, creatine is a popular substance to include in supplement regimens and sports nutrition diets. There are two creatine supplements in particular that are popular with bodybuilders and gym rats alike. These are Creatine Monohydrate and Creatine Ethyl Ester. Creatine Monohydrate, or CM, is perhaps one of, if not the most effective supplements that you can use to enhance your performance. It is highly researched and has been used successfully to improve muscle strength, size, and appearance. Additionally, it has been proven to be incredibly safe, with no apparent side-effects even after short or long-term supplemental use. Creatine can offer you a host of benefits that other supplements simply cannot. By using creatine, you’ll enjoy higher intensity workouts. Because creatine monohydrate is directly tied to how much ATP your body produces, you’ll enjoy greater muscular strength, enhanced performance from your muscles, your muscles will experience greater endurance, and you’ll be less likely to feel fatigued after a workout. As an added benefit, CM has also been linked to accelerated muscle recovery, ensuring that you can get back into the gym faster, and make your rest days more effective. Creatine Ethyl Ester takes advantage of the immense power of creatine and makes it even more useful than CM by making it more readily absorbed into the bloodstream. CEE was specifically formulated to ensure that you can intake more creatine, more effective, which means you need to take less of the supplement to notice the same or even greater effects. It also means that the two common, but mild side effects attributed to CM, bloating, and dehydration, do not occur. Much like CM, CEE is a powerful supplement that can benefit bodybuilders and exercise enthusiasts in a variety of ways. Essentially, because CEE is just an improved form of CM, the benefits of the two are shared. Athletes who include CEE in their pre-workout supplement regimen report seeing a leaner physique, improved muscle growth, increased strength, and increased power for high-intensity exercises or lifts. The key benefit to CEE is, of course, its increased absorption time. How Are CEE And CM Different From Each Other? CEE is just CM with an ester attached. Esters are created by combining carboxylic acid and alcohols together in a process known as esterification. Rather than absorbing the creatine through the stomach, which occurs when you take a CM supplement when you take a CEE supplement, you absorb the creatine through the small intestine, which allows it to be absorbed into the bloodstream quickly. Similarly, CEE is more stable than CM at lower PH levels, meaning it can survive the harsh conditions of the acids in your stomach. This makes CEE a more stable supplement. However, thanks to the micronized form of CM offered by Axis Labs, the surface areas of the molecules within the supplement are larger, which leads to increased absorption speeds. As a leading sports nutrition researcher, Axis Labs offers only the finest pre-workout supplements. Both the Creatine Monohydrate and Creatine Ethyl Ester supplements are a great addition to your current pre-workout supplement line up. Made from high-quality, pure ingredients, both of these supplements can enhance your workouts and leave you with a leaner, meaner, and more cut physique. You’ll recover faster, and sustain your gains longer. Shop Creatine Monohydrate and Creatine Ethyl Ester supplements today.